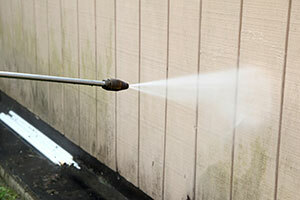 Your Local Oceanside Professionals for Power Washing Building Exteriors and more. As time goes by, the siding of your house will get filthy, and a regular in-house wash will not restore it to its original shiny condition. Don't let, what might be your most precious possession - your home, look stingy, let our team of Professionals, who come with years of experience, power wash your whole house at a price that you can afford. We also provide other professional services such as Gutter Cleaning, Chimney Cleaning, and also Window Cleaning in OceanSide and all over Long Island. We will come to your home and advice you on what work needs to be done, and also provide you with an estimate particular to your needs. We are your local family owned business, whose team of professionals has years of experience in the house cleaning industry. We work for both residential customers and also commercial businesses, and we service Oceanside and all of Long Island. For MONEY SAVING coupons for our Oceanside power washing, gutter cleaning, chimney cleaning, window washing and repairs click below.